Among skin problems, the presence of facial veins is generally regarded as a hard-to-treat condition. Sclerotherapy is among the most conventional and trusted cosmetic treatments. It is widely used for treating facial veins. Sclerotherapy is an undemanding outpatient procedure that is completed through small sessions. 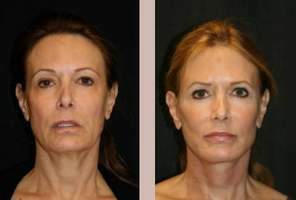 Each session is essentially aimed at treating a small area of the face afflicted with facial veins. Sclerotherapy uses very fine needles. This is needed since the active agent is administered directly into the facial veins. The fineness of the needle ensures that the veins or the surrounding tissue is not punctured. The active agent used in this treatment is also called a sclerant or sclerosing solution. There is no need to make surgical incisions or render anesthesia in this treatment, which makes it one of the most undemanding options for treating facial veins. The most common chemicals used during sclerotherapy include sodium tetradecyl sulfate, polidocanol or aethoxysklerol, and some forms of mildly-medicated saline solutions. The sclerant is essentially a potent formulation capable of gradually dissolving the walls of the dilated blood vessels that appear as facial veins. The sclerant doesn’t have a standard formulation, i.e. its potency and its overall effect can be controlled by the attending cosmetic surgeon. This is vital because facial veins present varying degrees of dilation and visibility. Furthermore, some veins cannot be diluted comprehensibly even if they are clearly visible. This is because some facial veins are branched in such a manner that dissolving them might risk the blood supply network of the facial skin. Thus, the effectiveness of the sclerant can vary between softening the walls of the vessel and pushing it deeper into the skin, or comprehensively eradicating it. The number of veins that can be treated in a single session is decided by the cosmetologist since some time is needed for the blood in the treated facial veins to re-route itself. The intervening period between every session ensures that the overall dynamics of blood supply to the facial skin is not upset. Treating too many veins at one time puts forth the risk of inducing too much pressure on the adjacent vessels. Thus, the injections are gradually administered in succession during every session. The niche of sclerotherapy has undergone some changes over the years wherein the quality of the vessel-dissolving agent has been continuously improved upon. One such option is foam-based sclerotherapy, wherein the sclerant has a foam formulation. The foam-based formulation ensures that the potent ingredients of the sclerant are released directly upon the inner linings of the vein. The action of the foam-based formulation is easier to view for the attending cosmetic surgeon than observing the liquid formulations. Ultrasound-guided sclerotherapy is the latest sclerotherapy method. The use of ultrasound ensures that the sclerant is injected and utilized without any wastage since the visualization of the veins is raised exponentially. This provides greater control to the cosmetic surgeon. This mode of treatment provides a greater scope to the specialist to soften the facial veins without necessarily dissolving them. Sclerotherapy is useful for spider veins that appear as small clusters of reddish/blue facial veins or thicker varicose veins like port-wine stain veins that are more dilated and present a darker coloration.